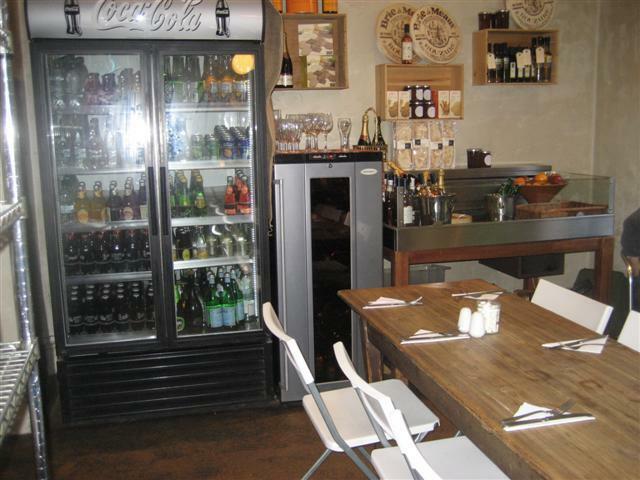 Megan’s Deli is the perfect place for a Sunday brunch. This café is small and cute and has small seating areas over a couple of floors. What makes this café special is if you head down the steep stairs, it opens out into a little outdoor garden area. Here it feels like you have been transported into some sort of country house garden. 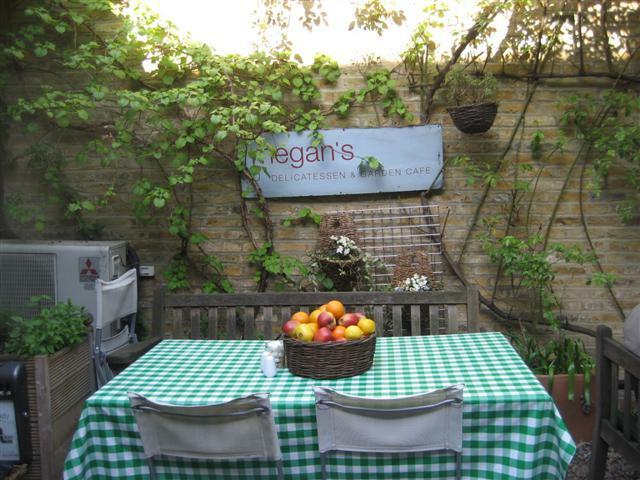 The tables are dressed with green chequered tablecloths and there are bowls of fresh fruit on the tables. If you go a little earlier in the afternoon, then your luck should be in to catch some of the sunshine in this walled garden area. There are a range of items and drinks for the Sunday brunch. A great way to start off is with the freshly squeezed orange juice. It’s of a good size and very refreshing. The scrambled eggs were cooked to perfection and served with some hearty thick granary bread. A filling meal for a lazy Sunday and there were no complaints at all with this brunch. Megan’s Deli also serve salads and quiches. These seemed to be on a self service basis from the counter inside. It all looked fresh but I would have preferred it if the food had been covered in a counter fridge and also if it was served by the staff. The staff were good, friendly and relaxed. They did not bother us or rush to take our order. But it was easy to get their attention when we were ready to order. Megan’s Deli is definitely one of my top places to go to for brunch and I’m sure that I will be returning for another lazy Sunday brunch. I've been using Megans for years for breakfast meetings and grabbing a quick take-away lunch. Whilst the food is usually amazingly fresh and tasty; this place falls down entirely on it's miserable and rude staff who totally lack any talent or charisma. Oh, that and the price. A large salad and small quiche will set you back £12 (the smiles must cost even more) so all in all this place could be GREAT and I'd sing from the rooftops. Instead I'm left frowning in the gutter. Summary, It's like an overpriced WonKeys with better food. Tip: Manager be nicer to your staff and inspire them to smile more. For that I may just pay £12 for a salad & quiche.